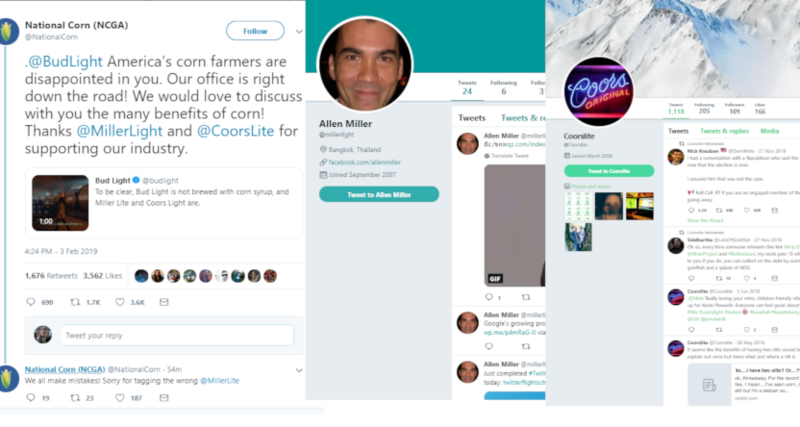 The corn growers were mad about the Bud Light ad, but they tagged the wrong Miller and Coors accounts in their response. 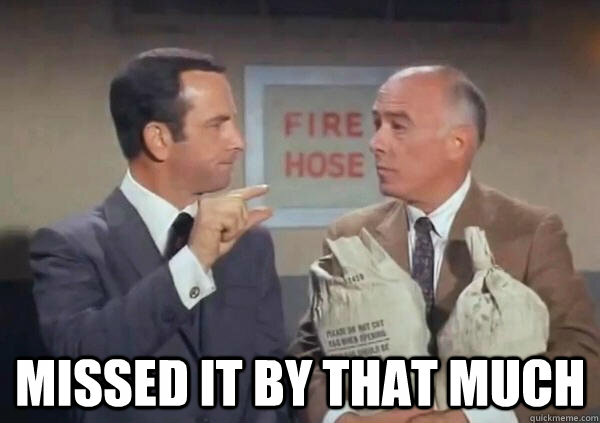 Then they retweeted a farmer dumping out a Bud Light. A theme of the Bud Light ads throughout Super Bowl LIII (well, apart from the Game of Thrones crossover) has been that their beer isn’t brewed with corn syrup, and that Coors Light and Miller Lite are. Well, that ticked off the National Corn Growers Association, who decided to respond on Twitter with criticism for Bud Light and praise for Coors Light and Miller Lite. Except…they tagged Allen Miller (@millerlight, who has 32 followers and 24 tweets, mostly years-old LinkedIn links with his latest being an August 2017 tweet with a nodding walrus) and whoever’s behind a @CoorsLite account (1,118 tweets and 108 followers, with recent tweets about “The Resistance,” an R. Kelly at-bat song, and, uh, a question about if it’s possible for a woman to have two clitorises), instead of the beer companies’ actual accounts (@MillerLite and @CoorsLight). Well, National Corn Growers Association, America’s social media professionals are disappointed in you. And then followed that up by…retweeting some farmer who made a video of himself pouring out Bud Light because he was upset about those ads? Weird flex, but okay, National Corn Growers’ Association. You’ve made your position very clear; you’re in favor of companies that brew beer with corn syrup. But, you know, maybe tag those companies properly next time.